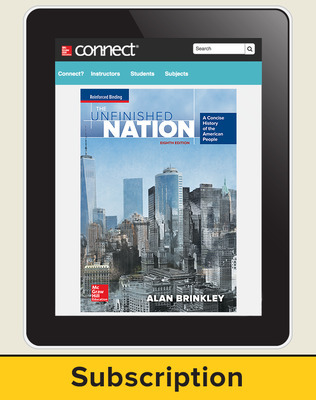 The Unfinished Nation: A Concise History of the American People © 2016, by Alan Brinkley, fully addresses the newly enhanced AP United States History Curriculum providing students with guidance and support to master key concepts and themes, develop historical thinking skills, and succeed on the new AP U.S. History Exam. 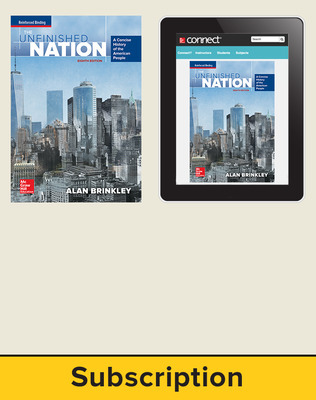 Consider the Source primary document features in every chapter. Debating the Past Historical Argumentation questions help students evaluate historical arguments. 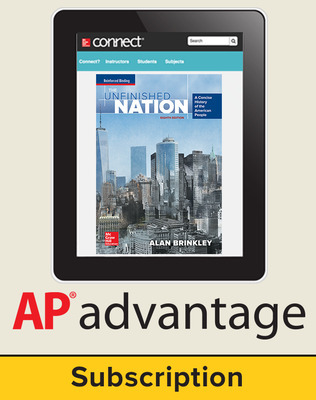 AP Teacher Manual with pacing guides, practice questions, and activities. 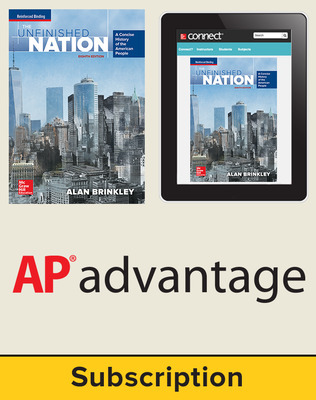 AP test banks for all AP Exam question types.